On November 5th , 2018 ,Salahaddin University-Erbil delegation consist of Professor Dr.Ahmed Anwar Dezaye president of Salahaddin University, professor Dr. Jawhar Fattah Saeed vice president for administration and finance Affairs and assistant professor Dr.Mohammed Azeez Saeed the director of grants and academic projectcs( Erasmus Plus Coordinator) visited Ondokuz Mayis University at the city of Samsun-Turkey. At 10:00 am the delegation were received by the Rector of Ondokuz Mayis University professor Dr. Sait Bilgic. The visit is a part of SU participation with another 39 universities all around world in Erasmus Plus KA107 of the European union programme. According to the program, SU will send each year two academic staff for one week training and two students for 5 month study. During the meeting, deep and detail discussion were conducted between the two rectors on expanding the academic cooperation beyond Erasmus program to include other disciplines such as Soil and water sciences into the programme. On behalf of Ondokuz Mayis University , Salahaddin university will carry out final examinations of 207 Iraqi students who studies at OMU at SU campus in Erbil. 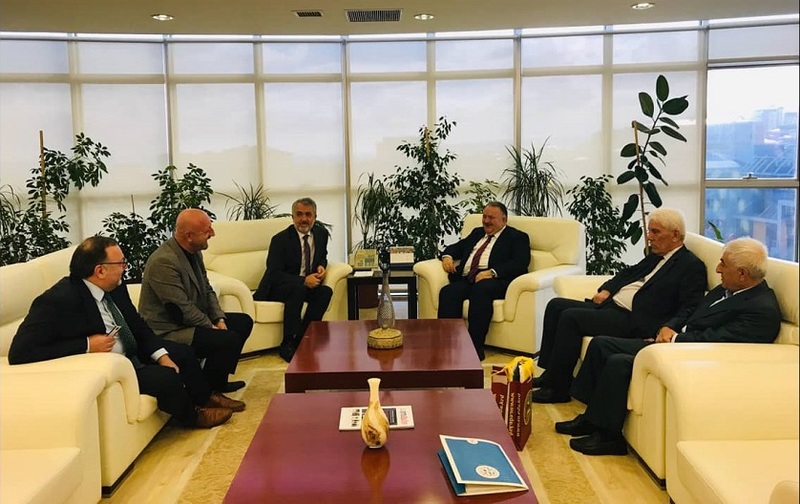 Salahaddin University has already signed five year memorandum of understating with OMU which continue to the end of the year 2020.In the meeting, the vice rector and director of international office of OMU were present. The president of SU gave OMU rector gifts, which consists of Small Kurdish design carpet with the photo of Erbil Citadel on it in addition to the SU Logo. At the end of the meeting the president of SU invited the OMU rector, vice rector and director of international office to visit SU at a suitable time next year.